Bounty-hunter Aris Boch once more has his sights on SG-1. But this time Boch isn’t interested in trading them for cash. He needs the unique talents of Dr. Daniel Jackson – and he’ll do anything to get them. 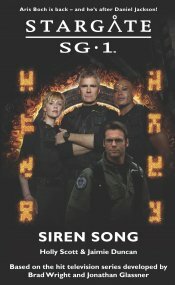 Colonel Jack O’Neill and his team are taken to Boch’s ravaged home-world and handed over to the insane Goa’uld, Sebek. Obsessed with opening a mysterious subterranean vault, Sebek demands that Jackson translate the arcane writing on the doors. When Jackson refuses, the Goa’uld resorts to devastating measures to ensure his cooperation. With the vault exerting an increasingly malign influence, Sebek compels Jackson and O’Neill toward a horror that threatens both their sanity and their lives. 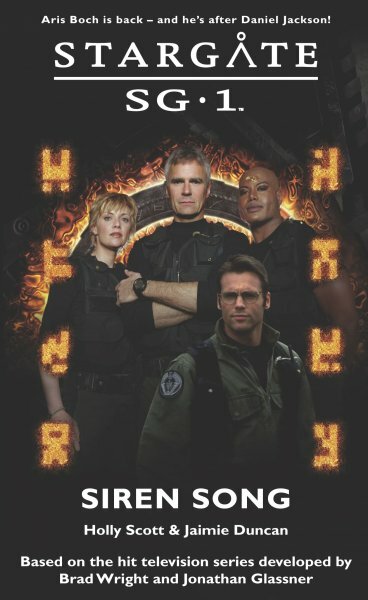 Meanwhile, Carter and Teal’c struggle to persuade the starving people of Aris Boch’s world to risk everything they have to save SG-1 – and free their desolate world of the Goa’uld forever. Sebek moved toward Daniel with his easy predatory grace and stepped into his space, as if Daniel was a thing he owned. He was too close. If they made their move, and Daniel wasn’t quick enough…Daniel was standing as straight and stiff as he could, trying to match Sebek’s height; for a moment, neither moved. Teal’c’s grip on Jack’s arm tightened before his hand dropped away. As soon as the opportunity came, they were going to take it.